'MTSU On the Record’ learns ma..
MTSU student engineering team ..
An MTSU alumna is using technology to encourage people to refrain from using technology thoughtlessly. “MILK is a mobile application that rewards you whenever you refrain from using your phone in places or situations where you shouldn’t, such as movie theaters, (the) dinner table at the restaurant, and, then, hopefully, even going into households and specific workplaces, classrooms at universities, and, of course, cars,” said Eason. Click on the app for more information. 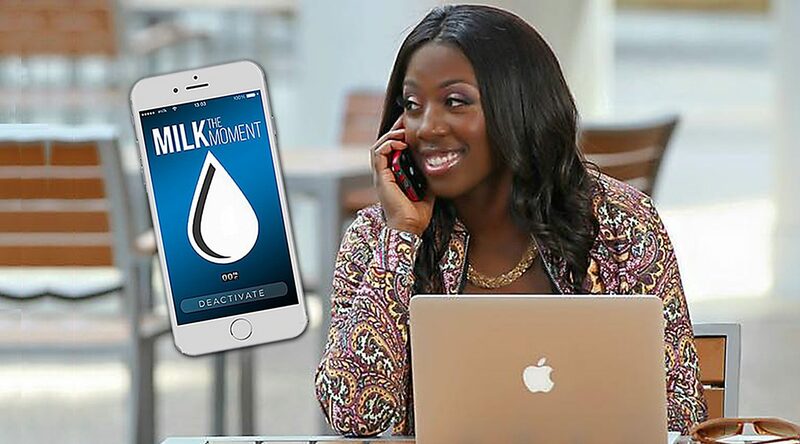 Customers are advised to activate the MILK app and lock their phones. For the entire time the phones are off, the customers receive points that can be redeemed for goods or services, such as free popcorn at a movie theater. “When you think about it, it’s really a custom-made loyalty program built for the business partners, because these people are coming back to their establishment to try to get more points and then to redeem them and buy something else,” said Eason. She graduated from MTSU in 2005 with a degree in music business. The Cordova, Tennessee, native, known to her friends as “Coko,” went to work for Sony ATV in Nashville and developed her own concert business, Soundtrack Entertainment, quickly being chosen as one of the “Forty Under Forty” business leaders by the Nashville Business Journal in 2014. Her work experience left her with an appreciation for how devices can disrupt concerts and other public events. Eason left Sony this past March when she received her $40,000 prize, aiming to devote more time to developing the MILK app at an office in the Nashville Entrepreneur Center and benefiting from advisers’ perspectives there. The MILK app is slated for a soft launch in July in partnership with what Eason describes as “a major movie chain.” More information is available at www.milkthemoment.com and www.courtneycokoeason.com.